We have just heard that the latest edition of the Adoremus Bulletin is available. As usual there are many points of interest concerning the liturgy; in particular, details of preparations for the liturgies during Pope Francis’ upcoming visit, and some information about the new translation of the Order of Confirmation. One piece that caught my eye is the reproduction of an article by Virgil Michel, OSB, written during the Depression, entitled City or Farm? In it he describes the importance of an awareness of nature and man’s place within it. He was an advocate of back-to-the-land movements in the context of the typical cityscape of 1939. He describes how people were so unaware of where their milk came from that a cow was paraded through the streets of one metropolis in order to show them. In thoughtful commentary which accompanies it, the Adoremus Editors point out that this is a subject important “not only for its own relevance to the life of grace generally, but as a topic supremely relevant to the celebration of and participation in the Church’s sacred liturgy”. The glory of nature directs man to God, reflects the pattern of our worship, and inspires us to want to do so. For my part, I think that the answer to the question, “City or Farm?” is neither one nor the other, but both. The ideal is a society in which each has his part to play and this incorporates city and farm...and garden! 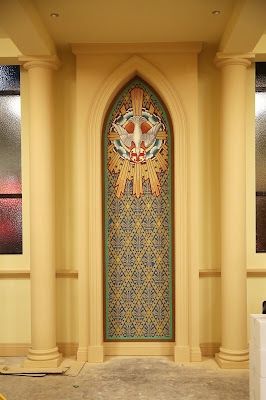 This is the glory of man in harmony with the rest of creation, in which both the culture and the cultus (field) point to the cult (the liturgy), and each is derived from the forms contained within the liturgy. 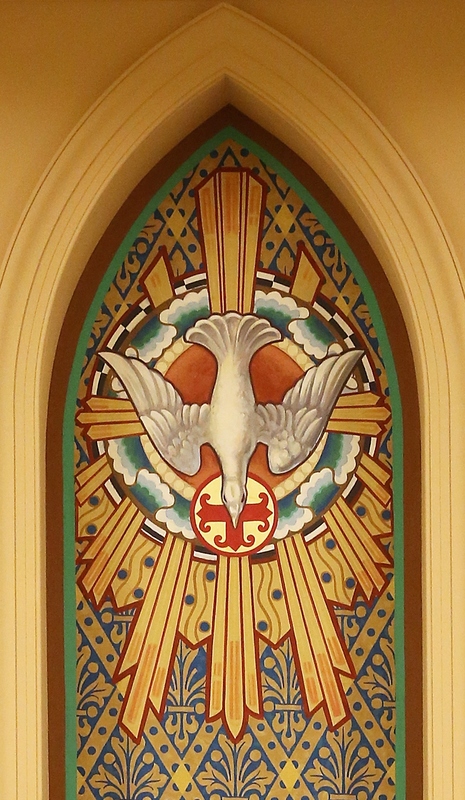 The cover image of the bulletin shows a wall panel from the Newman Center at Lincoln, Nebraska. 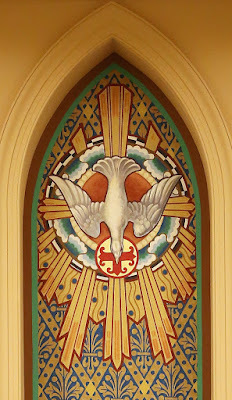 I love this depiction of the dove of the Holy Spirit, with the Romanesque style design behind it, an image which speaks to the discussion on the Sacrament of Confirmation.